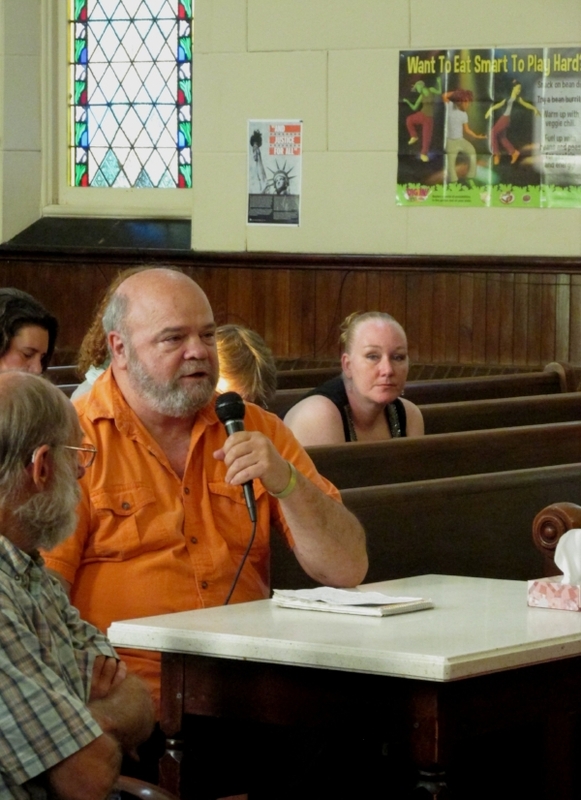 The 82 testimonies collected during the Truth Commission on Poverty in New York State were not always easy to hear. In each location, people shared stories that were deeply painful and traumatic and that took great courage to tell. Each story was unique, and yet many of the experiences that were shared echoed one another. Taken together, they provide a perspective on New York that challenges popular assumptions about poverty and the poor. Their insights also point us toward transformative solutions. Popular understandings of poverty and the services offered to the poor tend to place blame on individuals. Claims are frequently made that social services are rife with fraud and abuse, being given to people who are not truly in need, or that individuals struggling in poverty are suffering due to individual choices and attitudes (laziness, the failure to desire or look for work, lack of education, substance abuse). This kind of victim-blaming finds support across political ideologies, having first been popularized by the Moynihan Report in 1965. It has since been used by both left and right to divert attention from structural causes for poverty and place the onus on individuals to escape poverty. For example, when rolling out its budget proposal in May, the Trump administration announced it wanted 6 million people off public assistance. As budget director Mick Mulvaney put it, “If you’re on food stamps and able-bodied, we need you to go to work.” The subtext of his comments and the Trump budget is that one can choose to have a job that pays the bills - and Americans on public assistance are simply choosing not to. This is nothing new. It was the Democratic Clinton administration that signed welfare reform in 1996, adding a plethora of restrictions and requirements ostensibly meant to reduce “dependency” and encourage “personal responsibility.” While Clinton spoke with more compassion toward welfare recipients than our current president, he, too, advanced a narrative that the poor lacked - and needed to be taught - responsibility and work ethic. Consistently those who provided testimony to the Truth Commission exposed these claims and attitudes as false. The Trump administration’s proposed budget reflects a common Republican talking point that the poor take advantage of generous public assistance, and thus should be the targets of further restrictions and regulations. Testimony at the truth commission consistently demonstrated the opposite. Speakers frequently addressed the challenges of navigating various social service systems and highlighted the insufficiency of these systems at meeting their needs. Qualifications to receive services are exceedingly narrow, and exclude many in need. We heard from both people working in social services and those receiving services about the inadequacy of available assistance. “It takes too much time and red tape to get benefits from the Department of Social Services, and they often turn people away without even giving them a chance to sit down with a counselor. 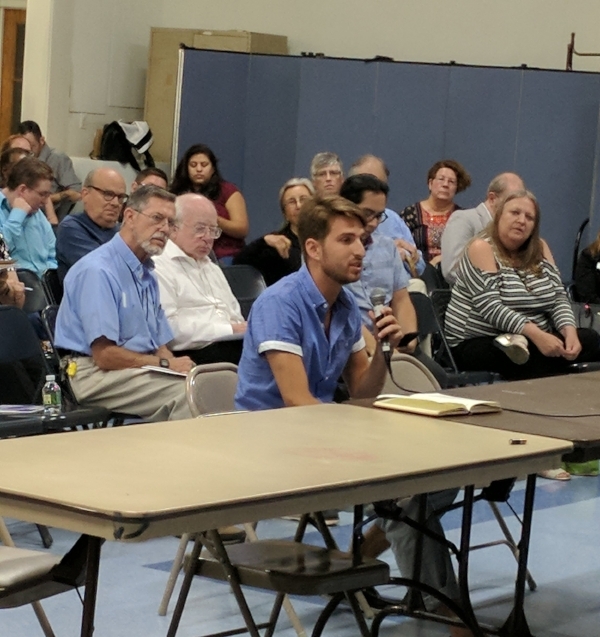 They just tell them that they are not qualified, they should not bother to apply,” said Alisa Drinkwater, a landlord-tenant counselor with Long Island Housing Services. James was describing a ‘benefits cliff’, where benefits are removed when income levels or other assistance reach certain arbitrary, and far too low, cutoff points. This issue came up multiple times. Tyler Hopkins is the program manager at Donald Axinn INN, a men’s shelter on Long Island. “A lot of the jobs that are available to [the men at the shelter], because they are not qualified for a lot of things, are really not jobs that they can really afford to get out of the shelter system. And the minute that they start making a dollar more than the required amount, they start to get charged for being in the shelter. Then they are forced to leave and then the only thing that they can really get are rooms in environments that are not suitable for most people,” he said. These comments and others showed that severe restrictions on benefits often keep people trapped in poverty rather than providing a path out. Over and over, testimony revealed the dehumanizing effects of existing social service systems, patronizing and condescending attitudes of many social welfare offices, and the exhaustion of needing to constantly prove that one is suffering in order to receive assistance. While much of the testimony shared with the commission showed how the current structure of social service programs is inadequate to meet people’s needs, testimony also spoke to how anti-poverty programs have had significant positive impacts on people’s lives. For example, Shanequa Levin, the director of Every Child Matters Long Island, told her story of growing up in poverty, raised by a mother and grandmother who also grew up in poverty. Levin spoke about the trauma she experienced and her sense as a young person that her circumstances would never change. She testified about how programs helped transform her life. Stories like Bogart’s and Levin’s challenge the rhetoric that labels government-funded programs like SNAP or HEAP wasteful. For them and their families, the public assistance they’ve been able to receive has been critical - even as it has also fallen short. Bogart’s testimony recognized the importance of the services she has been able to access, and she also shared through tears that her kids had toast for dinner the previous night because they had no other food. One of the most pervasive narratives about poverty is that much of it can be explained by individual weaknesses or lifestyle choices. Bill Clinton liked to say in his first campaign, “People who work hard and play by the rules shouldn’t be poor.” Many people believe that our economic system functions that way - that for the most part the poor either haven’t worked hard or have broken the rules. When poverty is seen as a result of individual failings, the solution to poverty is imagined as equipping individuals with skills. Across the political spectrum, education, and job and skills training is frequently touted as the answer to alleviating poverty. Repeated testimony exposed the inadequacy of this kind of political agenda, for several reasons. First, access to education, both primary and higher, is more limited in communities with high poverty rates. Despite high per pupil spending statewide, school funding in New York is not distributed fairly across the state, and school districts in poor communities are unable to offer the same educational opportunities as wealthier districts. The dependance of school budgets on property taxes, and the refusal of the state government to utilize more equitable funding formulas, ensures that these educational disparities will continue. It is disingenuous for political leaders to insist that education is the path out of poverty, while simultaneously denying educational opportunities to those most in need. Speakers also shared testimony about the inability to pursue higher education due to costs. “The biggest barrier for me when I was going to college full-time and I had one child at the time, but I wasn’t making it, just going to college. I had to work also and DSS wouldn’t help me...I stopped going to school to get a full time job and work for minimum wage,” Jacqueline Bogart testified in the Southern Tier. Testimony also showed how employment often does not lift people out of poverty. Speakers continually referenced low-wage work and the inability to find employment that would make them self-sufficient. Union members also discussed the gradual, steady contract concessions that had been imposed by massive corporations, and the resulting struggles workers are facing. On Long Island, Diane Motyleski talked about the impact of a new company buying Pathmark, the union grocery store where she had been a deli manager for decades. 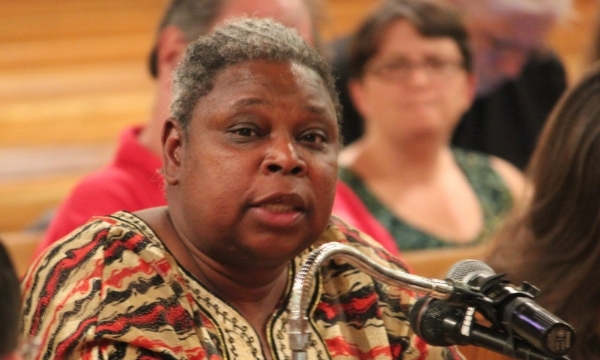 “My hourly pay was cut by more than half, my health care became completely unaffordable. I was working just as hard as always for a company that was growing. I found myself in a situation where I had to pick and choose which bills would be paid each month. I nearly lost my house during this time, I took in a roommate to help pay my bills. I was still more and more in debt everyday, my bank accounts were empty and my credit card bills were increasing. I felt that I was getting deeper into a bad situation every single day,” she testified. Those who had been incarcerated faced particular difficulties in pursuing education or employment that could lift them out of poverty. Having to indicate prior convictions on job, education, and housing applications (known as “the Box”), served as a barrier to many opportunities. Though some testifiers had earned skills certificates or degrees while incarcerated, they were unable to utilize these when released, due to their criminal history. On Long Island, Charlotte Koons of the New York Civil Liberties Union discussed how the criminal justice system disadvantages the poor. “A night spent in jail for an arrest on a petty offense might cost someone her job, and an overworked defense attorney provided by the state might make it hard to resolve a case without a criminal record, damaging future job prospects, and making it difficult to find housing. This creates a cycle. Those with less money are less equipped to navigate our broken criminal justice system. And the harsh consequences that the criminal justice system brings to bear on those individuals further traps them in poverty,” she testified. Bobby Black, a community organizer in Binghamton, shared at the Southern Tier Truth Commission how this happened to him. Wrongfully arrested in 2011, he ended up pleading guilty because he could not afford bail and remaining in jail was too expensive. He lost his job and apartment and now faces the consequences of a criminal record. These and other stories from across the state showed that regardless of education or skill set, the prevalence of low-wage work and the inability to find better paying jobs proves a continuous hurdle to escaping poverty. The testimony we collected points to the need for a response that addresses fundamental questions about the distribution of resources and power in our society. Further work is needed to envision a policy program that would end poverty in New York and to develop strategies for achieving that vision. The following recommendations are initial steps that are necessary to lay the groundwork for this transformative and long-term work. In order to build the popular support necessary to win transformative change, the narrative about poverty and the poor must shift. Even well-intentioned, compassionate people have misunderstandings about the systemic nature of poverty and the complex, multi-faceted challenges faced by the poor. Charity is often understood as the means to address poverty. But, however well-intentioned and essential to meeting an immediate need, charity serves to isolate problems and solutions of poverty to relationships between individuals, both recipients and givers. This approach aligns with our culture’s pervasive individualism and inhibits solidarity and systemic analysis, reducing the laudable goal of alleviating poverty to simply another consumer transaction. It can solidify power imbalances, absolving the privileged of guilt and responsibility, while reinforcing a sense of powerlessness on the recipient. Instead, poverty must be acknowledged for what it is: the exploitation of the poor and the active theft of resources from them. The distribution of resources that leaves many people in poverty and a few with great wealth is the result of decisions and policies made at a systemic level. While meeting immediate needs is a critical piece of responding to poverty, this work can be done in the context of a structural understanding of poverty and alongside movement-building and advocacy work focused on ending poverty. Organizations can work to change the public narrative on poverty by elevating and amplifying the voices and stories of those who have been most deeply harmed by these systems. Examples like the Speakers’ Bureau program, organized by the Food Bank of the Southern Tier, can serve as an instructive model. In this program, food pantry guests are trained and learn from one another public speaking skills, advocacy strategies, and community organizing skills, to more successfully advocate on their own behalf. With support from Food Bank staff, the Bureau members build community with one another, and most importantly build power and exercise influence in their communities and around the state. Their work challenges narratives of charity that render the poor to be passive recipients of aid. They instead seize their own power and agency in making change. 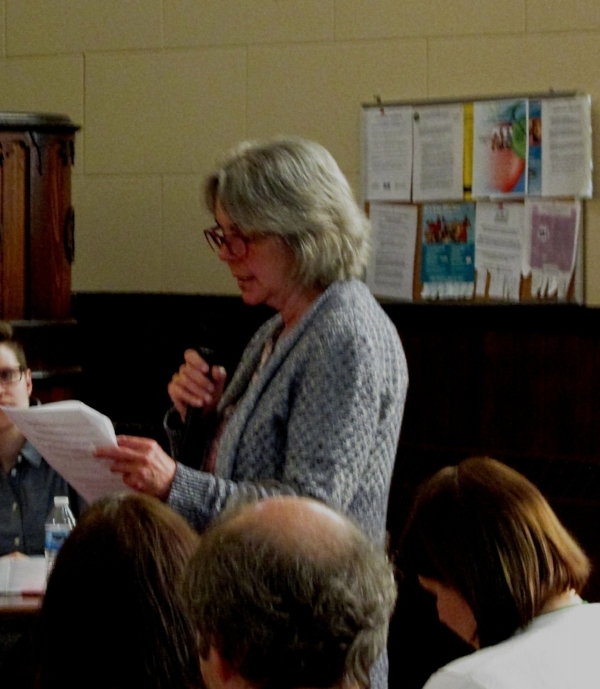 The expertise and leadership capacity of directly impacted New Yorkers was evident in each Truth Commission event. Some speakers, despite the day-to-day challenges of surviving while in poverty, actively participate in campaigns to change their circumstances. Low-wage workers represented the Fight for $15. The formerly incarcerated, or the family members of prisoners, are active in criminal justice reform campaigns. Families who had or are currently struggling to access healthcare are members of the Campaign for NY Health. Union members shared of their efforts to resist attacks by corporate employers. Additionally, many of the professional advocates or service providers who spoke testified to their own experiences of poverty. This is a critical insight that must inform efforts to end poverty: the poor are the experts on poverty. While policy experts can help to provide context and overarching views of systems, it is the people most directly impacted by structures of poverty that can and have taken leadership in addressing them. Their leadership must be at the forefront of any movement to end poverty. Though the limits and sometimes dehumanizing administration of social safety net programs were repeatedly highlighted through testimony, speakers also indicated the lifesaving capacity of these programs. Protecting and expanding access to nutrition assistance, subsidized and affordable housing, medical care, child care, public education and other programs is critical to the well-being of individuals and communities. Existing social safety net programs are under relentless assault at state and federal levels. Narratives about inefficiency and government waste are widespread, despite frequent refutation. Decades of tax cuts for corporations and the wealthy have provided cover for ‘austerity’ measures that choke safety net programs and devastate local communities. Recognizing that scarce public resources are not inevitable but rather are the result of political decisions by the 1% and their political agents will begin to break the narrative that cuts to the safety net are somehow ‘fiscally responsible’. The Chicago Teachers’ Union, in their fight to secure school funding, have provided a helpful slogan, referring to the austerity claims of the city government as being “broke on purpose”. Of particular concern right now is the House of Representatives Fiscal Year 2018 budget resolution, which if passed, would further devastate New Yorkers who rely on safety net programs. The proposed budget slashes funding to New York for Medicaid, food stamps, housing subsidies, disability assistance, and Earned Income and Child Tax Credits, while making way for tax cuts for the wealthy. These cuts would dramatically worsen the already unacceptable levels of poverty the Truth Commission testimony revealed. There is an urgent need for New Yorkers to mobilize in opposition to these cuts, especially in Congressional districts whose representatives have not yet expressed opposition to this plan. Defending the safety net requires continual advocacy and vigilance. But in addition to defending existing programs, which have suffered slow but steady cuts and restrictions through the years, we must also promote a broad, moral and values-rooted, progressive program of entitlements and benefits. Movements, both local and national, can support positive and bold demands based in a vision of the common good, rather than continual, compromising defenses of already damaged programs. The demands of the 1968 Poor People’s Campaign can be instructive - things like a guaranteed job or basic income, massive infrastructure investments in quality and affordable housing, and access to land and capital were then and are now dramatic, radical claims that indict any economic system which refuses to meet them. Single-issue campaigns, legislative lobbying, and electoral politics will be essential pieces of the work to end poverty, but they must be organized and understood within a broader social movement in order to effect changes of the scale required. Tinkering at the edges of the structures that produce poverty, alleviating only the worst abuses, and insisting on ‘kinder, gentler’ policies will continue to limit the possibilities for change, and leave a growing number of people further mired in poverty, further disaffected from society, and disillusioned in their own capacities to make change. Social movements have been the driving forces behind the lauded radical and progressive societal changes of the past (abolition of slavery, the 1930s labor movement, women’s suffrage, the Civil Rights movement, to name a few). They did this by appealing to a broad base of people, connecting different constituencies despite divide-and-conquer tactics from bosses and political leaders, and by promoting and advancing a vision based in moral and democratic values. They did this amidst and despite tremendous opposition and repression. Social movements tap into the deeply held values of large segments of the population and do so in such a way that motivates people to take risks, make sacrifices, demand change, and withdraw support from systems and leaders that refuse to change. Movements are what change the prevailing cultural landscape in the ways necessary to make dramatic and radical demands feel at first possible, and then inevitable. While seemingly straightforward, this comment presents a challenge to groups and organizations working to address poverty. If these two things are true, the questions must be posed: why do our campaigns see such little progress and so few genuine successes, and why are our organizations and groups competing with one another for people and resources? The organizational hurdles to this kind of collaboration can be addressed when organizations see themselves as part of a broader movement. With creativity, different kinds of organizations can recognize their roles in a movement framework, and better support one another with their specialties. For instance, food pantries can be connected to unions to provide support during strikes, and advocacy organizations can build relationships with service providers in order to organize their constituents for advocacy. Such collaboration will reflect the intersectionality of poverty that Truth Commission testimony demonstrated. Very few testifiers spoke to single issues. Rather, testimony revealed the interwoven and overlapping nature of poverty systems. Poor education opportunities, lack of adequate and affordable housing, lack of food, low wages or chronic unemployment, racial, sexual, and gender discrimination, lack of adequate healthcare, limited transportation, immigration status - all of these issues overlap and compound one another. Addressing any individual issue, while helpful, will only ever resolve a small portion of the overall problem. An effective social movement will address the ways these systems overlap, and perhaps more importantly, will bring together diverse segments of society to devise genuine systemic solutions that will benefit all. “For the last several years as part of the effort to build a new Poor People's Campaign like the one that was inspired fifty years ago by Dr. King, we have been traveling across the country to sessions like this. We've gone to all kinds of different communities, and those communities are divided by different histories and different cultures. They're divided by their racial make-up, their economic make-up, their gender make-up, and other kinds of divisions. Those divisions are real and they're not easily overcome. They're also divided by the kind of NGO-ism, and the issues that people work on, and the way the funders keep people competing with each other for money. But the hope, and what we're finding, and what I found again tonight is that the things that are used to divide us are not as strong as the things that we have in common when we listen to each other and hear these stories.